Excellent location right on the beach. Great place to holiday, more local family tourists. Very large apartment with big lounge and kitchen. Excellent aircon and wifi. The bathroom has a washing machine which was a pleasant surprise! Helpful staff quick to answer any emailed questions. Highly recommend staying here, we loved it. Many many great restaurants within walking distance around the bay. Proximity to the beach- within less than 1 minute, on foot! Hosts were always available and super helpful! The apartments matches its description on Booking.com. 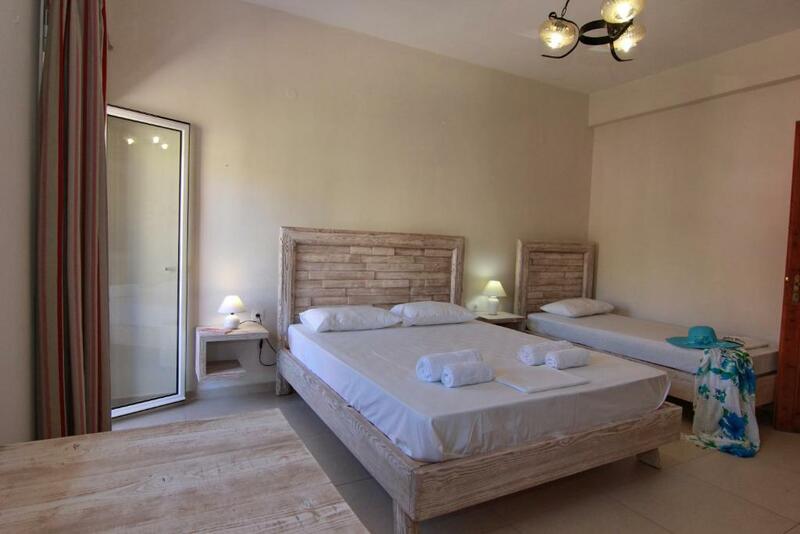 The location is convenient because it is close to the beach, shops, parking, but not noisy. Really pretty good wifi. Very hospitable owners helped us in issues even not related to their field. The apartments were cleaned every 3 days. The host and his brother were very nice and made us feel welcome. Everything was great, place, bed, bathroom everything was clear and clean service girls was top. Location was perfect to just relax and take about 1 minute to get to the beach . Host Yannis very friendly and helpful. Even our flight had a huge delay ND we arrived the property free midnight. Yannis arranged someone to wait for us. Thank you very much. Very friendly owner, apartment excellent, position on beach with seaview, supermarket below, restaurants very close with food excellent. 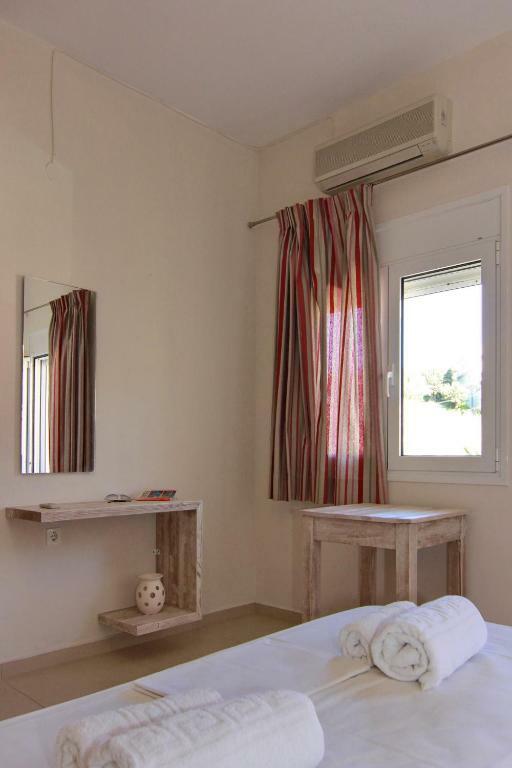 Lock in a great price for Michalis Apartments – rated 9.2 by recent guests! Just 30 feet from the sandy beach of Agia Pelagia, Michalis Apartments offers self-catered accommodations with views over the mountain, full or partial views over the Cretan Sea. Shops, taverns and bars can be found nearby. All air-conditioned studios and apartments are spacious and open out to a balcony. 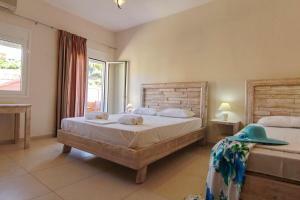 Each has a well-equipped kitchenette or kitchen and a private bathroom with bathtub. Some units also include a seating area with fireplace. Michalis Apartments lies 14 mi from Heraklion Port and 16 mi from Kazantzakis International Airport. Free parking is possible on site. This property also has one of the top-rated locations in Agia Pelagia! Guests are happier about it compared to other properties in the area. 뀐 Located in the top-rated area in Agia Pelagia, this property has an excellent location score of 9.9! When would you like to stay at Michalis Apartments? Opening to a balcony with mountain view, this spacious studio has a kitchenette with a mini fridge, cooking hobs and coffee maker. Air conditioning is included. Enjoying side views of the Cretan Sea from its balcony, this spacious studio has a kitchenette with a mini fridge, cooking hobs and coffee maker. Air conditioning is included. Located end of the bay, just a few yards from the beach,this apartment offers 2 bedrooms, a living room with fireplace, arched kitchen area, air conditioning and spacious balcony facing the beach. An extra bed can be accommodated in the second bedroom upon request. Our apartments are located in a safe and tranquil area of the bay which is ideal for families with children. All studios and apartments are located near the beach where the waters are clean and there are no waves preventing the bathers from swimming unsafely. It is also ideal for all those who seek to be entertained, there are water sport facilities nearby, a diving center that caters for divers of all levels, several bars, restaurants, cafes and souvenir shops. House Rules Michalis Apartments takes special requests – add in the next step! Michalis Apartments accepts these cards and reserves the right to temporarily hold an amount prior to arrival. Please inform Michalis Apartments of your expected arrival time in advance. You can use the Special Requests box when booking, or contact the property directly using the contact details in your confirmation. There is only one hook for the towels in the shower room. The bedsheet was changed every 6 days. The pictures in the description suggested sea view, while our apartment overlooked the back of the building. The property was great , clean and spacious but a aircon in the lounge area would of been perfect but there were one each in the bedrooms to ensure a comfortable sleep . If there was a fan in the apartment, it would have been great. It’s a very hot location generally and you have to sleep with the AC on with the windows closed because the AC cuts out when you open a window. No daily house keeping. Toilet paper can't flush into toilet. So rubbish bin after couple if days it start get stink a bit. Comfortable apartment with sufficient facilities for an enjoyable stay. Owner, Yiannis, was pleasant and very helpful. The beach is good, but the beach line is narrow. Everything was fantastic! Owners Michalis & Yiannis were very friendly. Excellent hospitality! The location is perfect - beach, restaurants, supermarkets a few steps from the door. place is good for family holidays, suitable for kids. We plan to come here more.